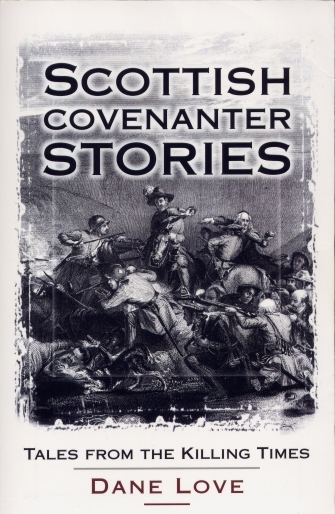 You can buy Scottish Covenanter Stories from the author's online Bookshop. The year in 1685. The country is Scotland. A farmer is dragged from his house and shot in front of his family. Another is tortured with thumbscrews. Two young men are hanged, drawn and quartered in public. Two women are tied to stakes and drown in the rising Solway tide. These crimes were all committed by Scots against Scots. Between 1638 and 1688 Scotland was in an almost constant state of civil unrest because many people refused to accept the Royal decree that the king was head of the church. When those who refused signed a Covenant which stated that only Jesus Christ could command such a position, they were effectively signing their own death warrants. And so began one of the bloodiest periods of Scottish history … the Killing Times. In this unique and fascinating account Dane Love recounts 50 tales from Covenanting folklore including the stories of all the main martyrs as well as many lesser known incidents. As an insight into a grim period of religious persecution in Scotland, this book is an indispensable primer.